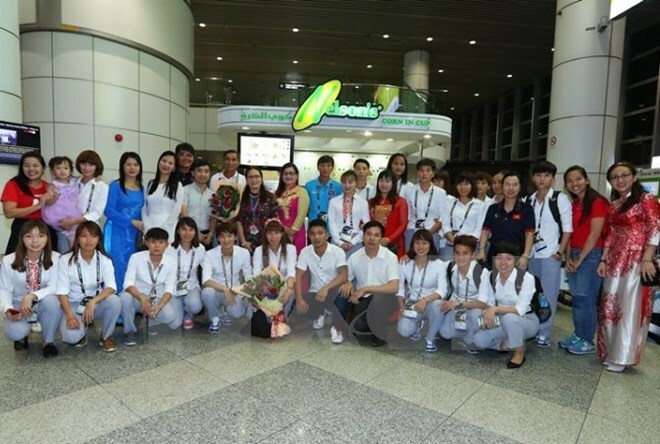 Kuala Lumpur (VNA) – Vietnam’s female footballers are aiming for gold at the 29th Southeast Asian Games, said Coach Mai Duc Chung on August 13 as he arrived in Malaysia for the event. All players are in good health and feeling positive, Chung told Vietnam’s reporters there, adding that they are ready to play. The team came back from a training camp in Japan injury free and gained valuable experience there, he noted. Speaking of the competitors, particularly Thailand and Myanmar, the coach said all national teams are strong and his team respects them all. The Vietnamese team have played these teams several times and know them well, so they are confident they will perform in each match, he said.